Lancaster, PA (July 31, 2018) – Style and substance come together in the latest commercial flooring offering from industry leader Ecore, a company that transforms reclaimed materials into performance surfaces that make people's lives better. 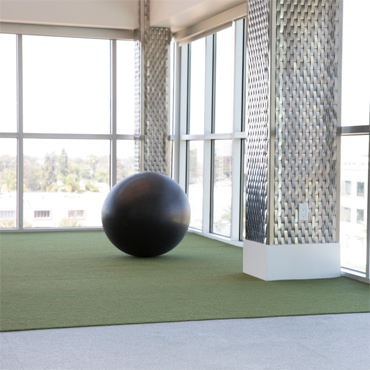 One of the surfaces in the Ecore Commercial Rx Collection, Cosmos Rx is a sound absorbent, ergonomic, and safe flooring solution offered in a variety of modern finishes to compliment both traditional and contemporary interiors. 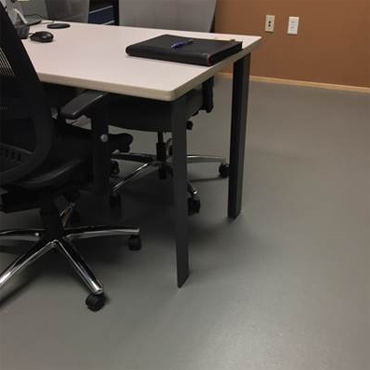 Like all products in the Rx Collection, Cosmos Rx leverages Ecore’s patented itstru technology, making the space where it’s installed quieter and more safe and ergonomic than traditional commercial flooring options. Featuring five millimeters of Ecore's vulcanized composition rubber backing fusion-bonded to a modern heterogeneous vinyl sheet, Rx products offer anti-fatigue capabilities that enhance force reduction and energy restitution, delivering increased comfort underfoot and reducing the risk of injury associated with falls. Additionally, Cosmos Rx provides premium sound control and is extremely hygienic as a result of its heat-welded installation, leaving no pores or crevices to collect dirt, mold or other irritants. Combined, these features make it an ideal solution for senior living spaces, healthcare, multifamily, hospitality and any area expecting heavy commercial use. To learn more about Cosmos Rx, visit: www.ecorecommercial.com/Products/Rx/Cosmos-Rx . Since 1871, Ecore has been transforming reclaimed materials into performance surfaces that make people’s lives better. 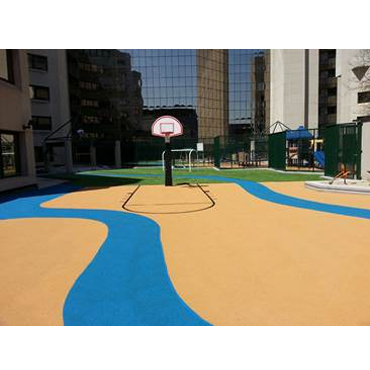 What started with simple cork closures has evolved into a diverse portfolio of products solving complex problems in applications ranging from playgrounds, weight rooms, and turf fields to hospitals, hotels, and retail environments. 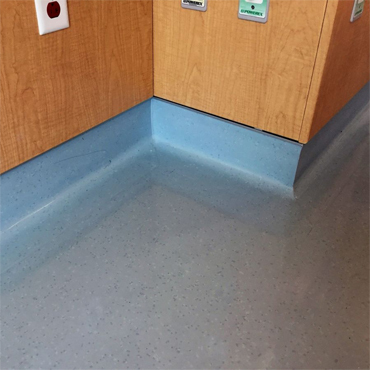 Ecore is driven every day by a simple question, “Can a floor do more?” YES. At Ecore, we create products based on the simple notion that floors should elevate beyond current expectations. 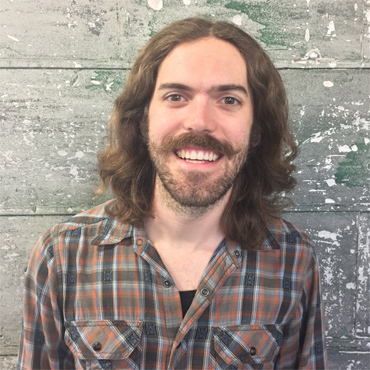 Ecore’s energy is focused on the interaction between people and the surface. As a result, we engineer performance well beyond industry standards related to acoustics, ergonomics, and safety. Harvesting the unique power from a myriad of waste streams, Ecore creates products that align–substantial force reduction with a balanced amount of energy return to create dynamic surfaces that are catered to the individual and the application.